Training/toy bayonet, made mostly of real bayonet parts. 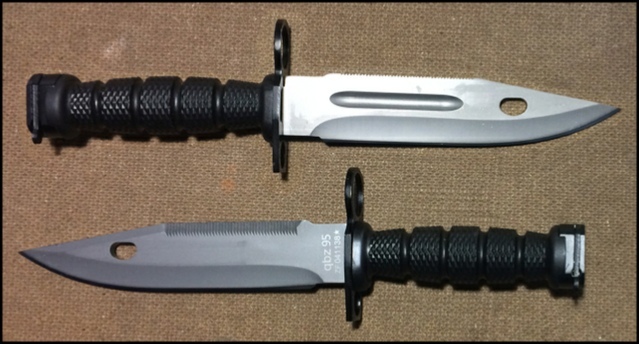 Blade is rubber, bayonet fixes to rifle with velcro band and scabbard does not have wire cutter assembly. 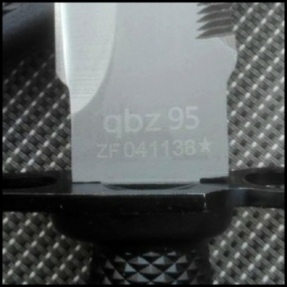 Training/toy bayonet #2. 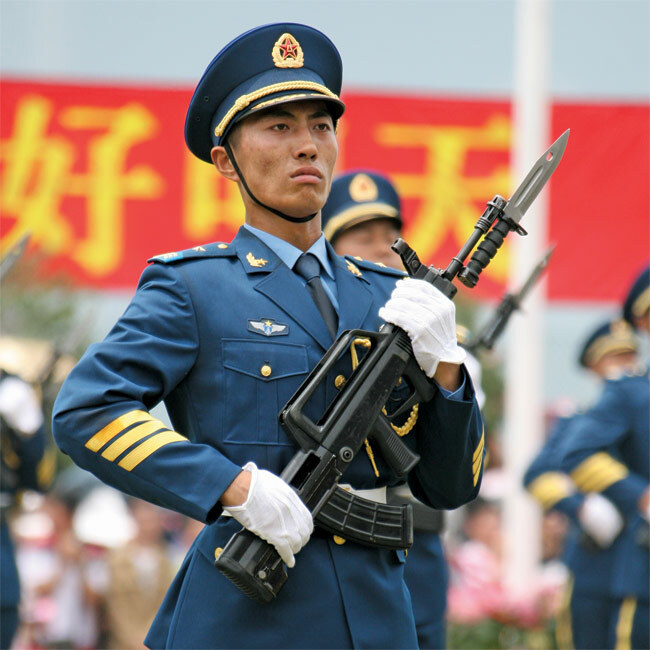 Blade is rubber, bayonet fixes to rifle, scabbard has wire cutter assembly. 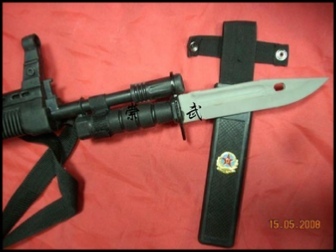 Type 95 bayonet, copy of US M9.